Yes – the time is upon us! 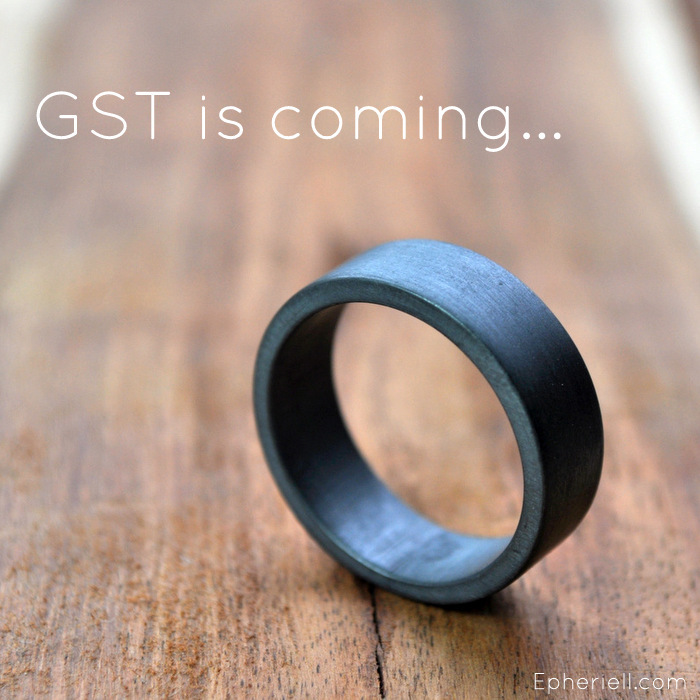 We have reached that wonderful/terrifying stage in our business that we are required to register for GST. This means that come April 1st, all Epheriell sales to Australian customers will have 10% GST added at the checkout screen (you will be able to see the GST on your order when you view your cart). If you’re buying Epheriell from outside of Australia, nothing will change for you – this is Australia’s Goods & Services Tax, and is only payable by Australian customers. 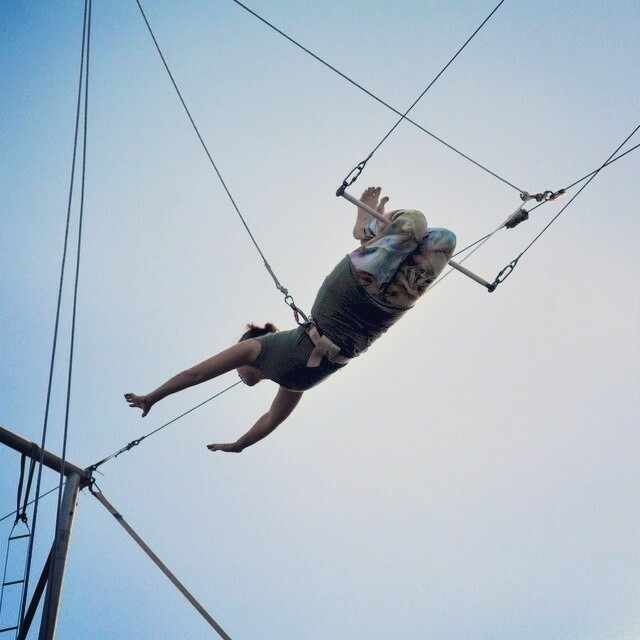 In other news, here’s a photo of me having a go on the flying trapeze on the weekend. Seriously. It was SO much fun! I got to have 5 swings – and 2 of them were catches. That’s what I’m practising in this shot – imagine a big guy on another trapeze grabbing my hands right about… now… and me letting my legs go, and you get the idea. 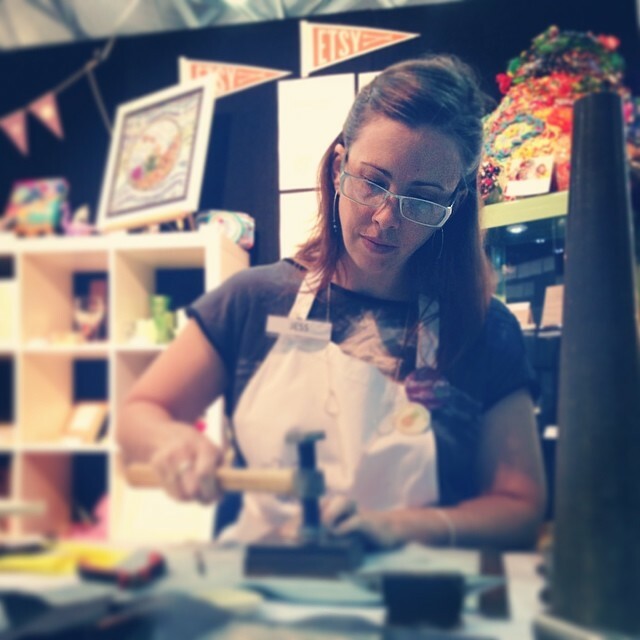 It wasn’t all flying all weekend – but it was all fun, because on Sunday I spent the day volunteering at the BrisStyle stand at the Stitches & Craft Show in Brisbane. I did a 2-hour stint demonstrating my smithing, which was super-fun! I don’t think I’ve ever demonstrated before, and it was really cool to be able to teach people about what I was doing. Of course, I couldn’t take my torch, so it was just cutting, filing, sanding, shaping and hammering work. Big wave to all my Epheriell and Create & Thrive peeps who I saw on Sunday – it was lovely to meet/see you.